We have a client in Lexington, Kentucky that I visit frequently. Flying direct into Lexington from the New York area while possible, is limiting in the amount of direct flights offered and expensive. Since the flight itself is only about an hour and a half – connecting makes no sense to me at all. In the recent past I have flown into Cincinnati (whose airport is actually in Covington, KY) and driven the 80 miles or so down to Lexington. On my trip last week I decided to try flying into Louisville which is actually 70 miles from Lexington (I had only done this once in the past 12 years). It was a direct flight both ways, (yes the plane was tiny like they all seem to be these days) and the flight left out of LaGuardia (as does the flight to Cincinnati). On the return to LaGuardia I arrived at the airport early and looked for traveler’s club as I have card that allows me into a few. No clubs of that sort. But I noticed a staircase for a ‘club’ called ‘Altitude’ – A Traveler’s club. I went upstairs and was pleased to see a traveler’s lounge with internet access, free soft drinks – a cash bar, rechargeable stations for my laptop and phone, free local and long-distance phone calls (I suppressed the desire to call my friend in Asia), televisions and comfortable seating. What pleased me more was the cost – $ 5.00 for the day. When my flight was delayed by an hour and a half I was not all that aggravated since I was able to work in a quiet, comfortable and pleasant atmosphere. HMS Host is operating this club and I suspect it is a test – both in pricing and usage. The club only had a few people in it that came and went as their flights did. There are ‘flexible’ membership options (daily, monthly, and annual). So for those that travel out of Louisville a great deal a monthly option might be just the ticket. Considering that if you want internet access at LaGuardia and don’t subscribe to a plan you have to pay Boingo.net at least $ 4.00 to get wireless access – but you are in the noisy and often uncomfortable terminal. 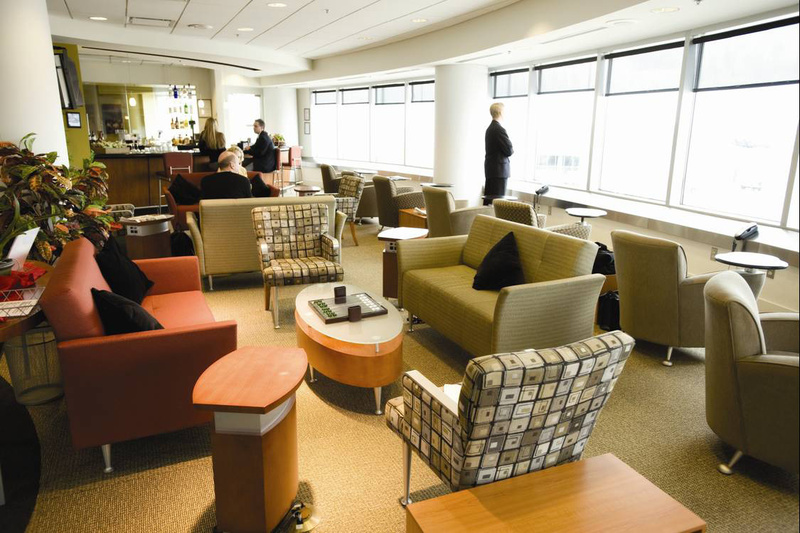 If you have not figured it out already – the Altitude club is a GREAT concept. And I hope some other airports consider bringing in this concept. It was a very good experience. Don’t’ tell anyone but by the way – I would have paid $ 10. Got any good stories like that? Or bad ones? This entry was posted in Customer Experiences, Marketing stuff and tagged Altitude club, Boingo.net, Cincinnati Airport, HMS Host, Laguardia airport, Louisville airport, Traveler's clubs. Bookmark the permalink.